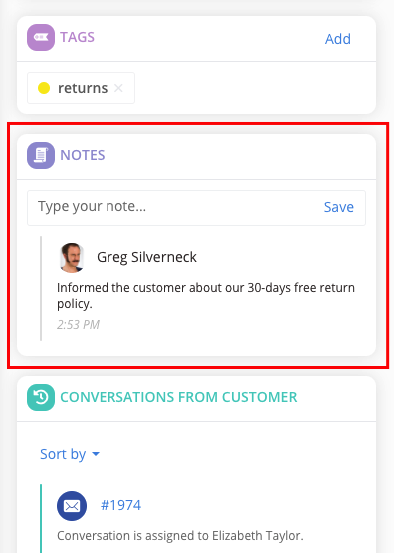 You can add a note to a conversation, so you and others can take in the topic of the conversation at a glance later on. This helps you and other agents deliver a better service. Find the NOTES section on the right side while in conversation view. Enter your note and click Save. When the note has been saved it will be available for all to see on the conversation.